November 1st is World Vegan Day – Happy World Vegan Day! We are into the last week of the Vancouver Co-operative Radio Fall Member Drive, which means it’s that time of the year again where we are humbly reaching out to our valued listeners (that’s YOU) to ask for your financial support to keep the Animal Voices radio show running on the air. Vancouver Co-op Radio is a volunteer run non-profit organization where we provide you with the type of quality, original programming that you won’t find on commercial radio stations. We give voice to the marginalized communities of our society, and with that, we are a voice for the animals. If you appreciate the work that we do at Animal Voices to bring you the weekly radio show/podcast every Friday, please show us your support at this time by making a donation (aka becoming a member) to Co-op Radio, on behalf of the Animal Voices show, by clicking here. Your contributions (over $25) are tax deductible, and we truly appreciate your support, as we can’t do the show without you! Thank you, from the Animal Voices team. Our first interview for World Vegan Day is with renowned registered dietician Vesanto Melina. Hailing from Langley, BC, she has co-written the classics in vegan nutrition also with fellow RD Brenda Davis, with over 650,000 copies of their books in print, in 8 languages. These include the books “Becoming Vegetarian”, “Becoming Vegan”, “Becoming Raw”, “Raw Food Revolution Diet”, “Cooking Vegan” and “Raising Vegetarian Children”. Vesanto has taught nutrition courses at the university level, she has received the Clintec award for leadership in dietetics, and she was a co-author of the American Dietetic Association‘s and Dietitians of Canada’s joint 2003 Position Paper on Vegetarian Diets. Most recently, written with colleague Brenda Davis, Vesanto has authored the newly published “Becoming Vegan – Express Edition: The Everyday Guide to Plant-based Nutrition”, which has star rating by the American Library Association, and is listed as “the go-to book” on vegan nutrition. In this interview, Vesanto answers some of our vegan nutrition questions, such as about the links between a vegan diet and chronic disease prevention, whether or not oils are “good” to include in our diets, and opinions on eating raw, as well as the Paleo diet. 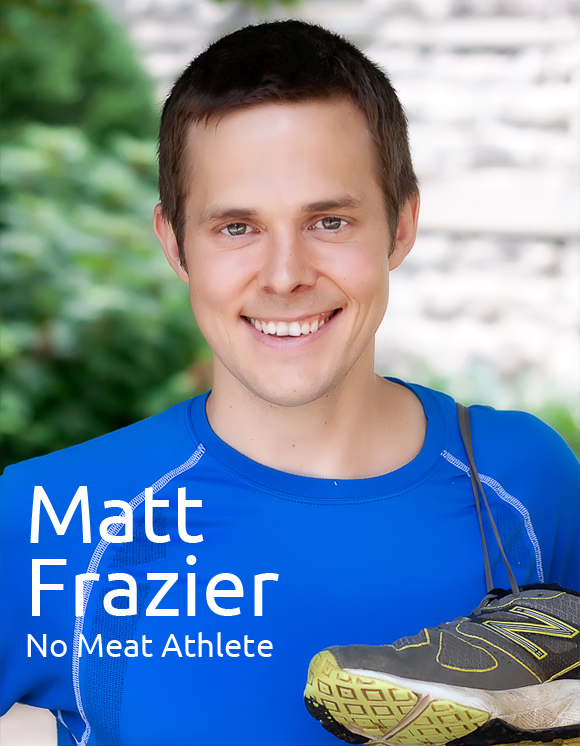 For our feature interview, for World Vegan Day, we have vegan marathoner and ultrarunner Matt Frazier on the show. Matt is the founder of the popular website NoMeatAthlete.com, a 20,000+ subscriber blog about plant-based nutrition and fitness. Matt founded NoMeatAthlete.com in 2009, at about the same time he went vegetarian. Six months later, Matt qualified for the Boston Marathon with a time of 3:09:59 at the Wineglass Marathon, over 100 minutes faster than his first marathon time seven years prior. In June 2010, Matt ran his first 50-mile ultramarathon, and has run several more ultras and marathons each year since. Matt has just authored a brand new booked entitled “No Meat Athlete: Run on Plants and Discover Your Fittest, Fastest, Happiest Self”. Like the website, this book serves as a fitness guide, healthy-living cookbook, and nutrition primer for the beginner and everyday athlete who wants to enjoy the health benefits of a plant-based lifestyle. In this interview, Matt speaks with us about veganism for athleticism and gives some sound advice on how to make the transition to a plant-based lifestyle for beginners, athletes and non-athletes alike.